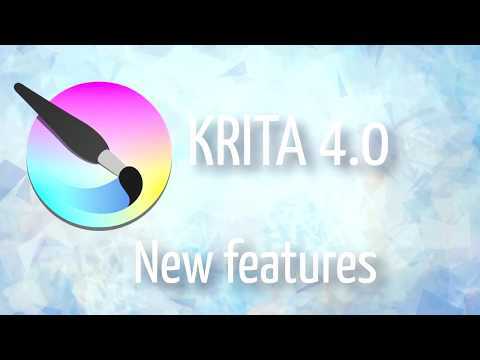 Krita is a complete creative sketching and painting application with advanced, commercial quality features. It's free, open-source and available across all major desktop platforms. Pop-up Palette - Quickly pick your color and brush by right-clicking on the canvas. Brush Stabilizers - Have a shaky hand? Add a stabilizer to your brush to smoothen it out. Brush Engines - Customize your brushes with 9 unique brush engines. Wrap-around mode - It is easy to create seamless textures and patterns now. Press the ‘W’ key while painting to toggle wrap-around mode. Resource Manager - Import brush and texture packs from other artists to expand your tool set. Layer Management - Krita comes with vector, filter, group, and file layers. Combine, order, and flatten layers to keep organized. Add drop shadows and other simple effects using visual styles. Full Color Management - Krita supports full color management through LCMS for ICC and OpenColor IO for EXR, allowing you to incorporate Krita into your existing color management pipeline. Krita is also a platform with 1 apps listed on AlternativeTo. Browse all 1 apps for Krita. Krita was added by jordoex in Apr 2009 and the latest update was made in Apr 2019. The list of alternatives was updated Apr 2019 There is a history of all activites on Krita in our Activity Log. It's possible to update the information on Krita or report it as discontinued, duplicated or spam. Procreate is the most powerful and intuitive digital illustration app available for iOS. Alternatives to Krita for Windows, Mac, Linux, Android, iPhone and more. Filter by license to discover only free or Open Source alternatives. This list contains a total of 25+ apps similar to Krita. Krita is geared more towa artists rather than photographers, and has a toolset which reflects that. While a number of photography-specific tools are missing, Krita can still be a very powerful photo editor when suplemented by another program to handle the basic raw conversion and curve editing. The fact that Krita supports deep color gives it a big advantage over GIMP, at least until the next full version release of GIMP. only real replacement for Krita on Android is Infinite Painter 6. Soon out of Beta. Just try it it. I went to download Krita from the Windows Store but it's like $12. So much for it being free. It's free for windows on the website.